this past week, our family tried a new way of using Quinoa. We made hot cereal with it. It is not a really difficult thing. Quinoa is cooked exactly as you would rice, but unlike rice it is packed with protein. To make the cereal, we cook the quinoa with 1 part quinoa to 2 parts water. We set the water to boil, adding an extra 1/4 cup to the measurement, and toss in a handfull or two of finely diced dried fruits or raisins. When the water starts to boil, stir in the quinoa, remove from heat and cover. The quinoa will continue to cook just as rice does, absorbing all the liquid. To serve, we add a bit of honey or you can use pure maple syrup for sweetening and a bit of milk. To make it vegan, simply use almond milk or your favorite alternative milk. The kids loved it! The cereal is equally good as a cold cereal. We made a large batch and refrigerated the extra for the next morning. Next time, I will try teh same thing using only brown rice. In our efforts to find alternatives to gluten foods, these seem like a God-send. I hadn’t thought that I would have time to do this extra blog post but after my third nomination for it, I thought I would go ahead and do this one as it is a fun one. Challenging, for me, but fun. Thanks Our Thrifty House for nudging me to participate & nominating me. 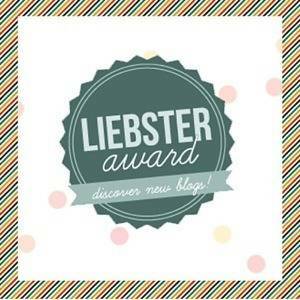 The Liebster Award is one given to bloggers who are just starting out as a way to help get their blog out there a bit more. The idea is that anyone who is nominated is to do 4 things. First, they list 11 facts about themselves that others may or may not already know. Secondly, they answer a list of questions posted by the blogger who nominated them. Third, you list some new blogs that you would like to see participate in the award. Finally, you give a list of questions that the bloggers you nominate are to answer in their post. 1. I used to be a truck driver, team driving with my husband. 2. I am a Kindle junkie. I am constantly adding more books to it. 3. Most nights I can be found reading my Kindle by oil lamp light. 4. I once considered converting to Old Order Amish. 5. My favorite “date” with my husband is a trip to Lowe’s. 6. My favorite color is teal. 7. Only thing I miss about electricity is a hair dryer. 8. I have no clue how to be “girlie” or dress that way. 9. I have brooded a small clutch of chicks in my kitchen. 10. My favorite style of clothing is the gypsy/bohemian. 11. I am totally hooked on Starbuck’s Caramel Apple Cider. Where do you find inspiration? Mostly from questions I receive as well as our daily life. What is the hardest part about blogging, if any? Finding time. By the time I am finished doing daily chores, tending the kids, and homeschooling them, I have trouble being awake enough to feel creative. What is your favorite dessert? Strawberries dipped in dark chocolate. What celebrity would you like to meet? Hard question. Don’t really pay too much attention to celebrities. But if I had to pick, I would say actress Jane Seymour. I love her grace & dignity as well as humor. What is your favorite indoor/outdoor activity? Indoors would be reading or sewing. Outdoors would be hiking. What is your favorite store to shop? Lehmans, they sell non-electric items like the Amish use. What was the last book you read? Dark Nights by Christine Feehan. What is the hardest part about blogging, if any? What if your favorite quote? What skill do you wish you had taken the time to learn when you were growing up? What is the one activity you wish you had the time to pursue? If money was no issue, where would you like to travel? I love the spring season. After a cold winter, it is so refreshing to have the warmer days. It also brings about changes in our diet. Throughout the winter we eat a lot of soups and stews. These not only are comfort foods but really seem to fit the season. As spring approaches however, I am planning out meals that are lighter. These meals will be a blessing come the hot days of summer! We are also making a major dietary change for a month or so. Our autistic son is showing signs of having a sensitivity to gluten. Quite simply, everytime he eats foods containing gluten, he has gas issues that are far beyond the normal range. He gets cranky sometimes, especially if he has too many foods containing gluten in one day. Since there is no real test for sensitivity (other than the test for Celiac which is a much more severe reaction to gluten) I am taking the old fashioned approach. We will go without gluten for a month and see if anything changes. If his gas problems are solved, then I will gently start introducing gluten into his diet again. If the gas problems start back up, we know he is sensitive to it and will eliminate it from his diet. Luckily, I have a lot of vegetarian & vegan recipes to choose from. I also have 2 books on gluten-free cooking. These are the resources I am using to revamp my family’s diet. It is taking me some time to put together a month’s worth of weekly menus, but will be posting them as soon as I am able. I will then give more detail on how to shop in bulk for the month. I had a wonderful response to the previous blog post about my monthly grocery shopping. I am hoping that the upcoming menu will help to explain it even more.